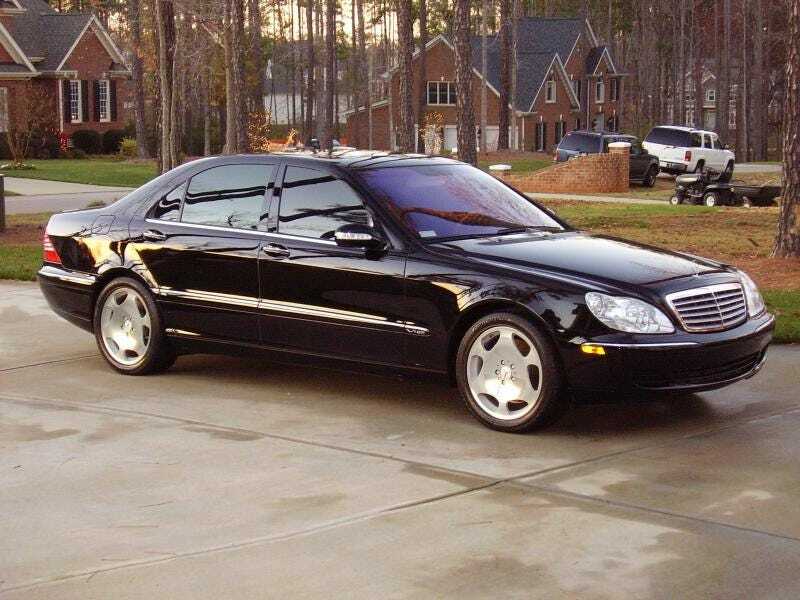 It seems that a lots of people regard the Mercedes W220, the S-class that served from 1999 to 2005, as the worst car to ever bear the name. Between the fact that people seem to think it looks boring and its nasty reliability record, you won't exactly find people lining up to buy them, even at the insanely low prices which they command. After doing some looking online, it would appear that this is because they are largely sitting on buy-here-pay-here lots in Florida with little American flags clipped to the windows, like these. Many of them also have huge, ridiculous DUB wheels, like these. Part of that seems to be the looks, a big part of it seems to be the reliability, but it also appears to be because with most big luxury cars, however old, you can find one-owner examples that were bought by a rich elderly couple, driven to the grocery store on Saturdays, church on Sundays, and to see the grandkids up in Jacksonville once a month. This elderly couple will take the car back to the dealer every time it needs to be filled with gas or have new wipers put on, and it will only ever hit 55mph. W220s, at lest these days, seem to be different. They have usually been owned by at lest one smoker, gangbanger, sleazy lawyer, or spoiled grandkid in their lifetime, and as such, they are usually very rough, no matter the mileage. The aforementioned build quality probably doesn't help. Yet despite all this, I like the W220. I think it is a good looker. It looks dignified, yet sleek and low and fast. I like the interior, from the few I've seen that are not a) grey or b) cracked and torn to hell. I also like the cool wheels that you can get on the monstrous twin-turbocharged S600 V12, which, buy the way, I would totally pick over an AMG. I wish it didn't have the "10 years divorced former trophy wife" image going for it. Actually, I'm glad it does, because unlike so many other cars of its class, I could actually afford to buy a W220 sometime soon, and the rare few that are low-mileage, one elderly owner examples seem to be a lot of car for the money. And who knows. If I can stomach the maintenance costs, and the slight image issue, maybe I will. Anybody else share this strange love of this unloved Benz? Anybody own one on here? Please tell me I'm not crazy.